Welcome to our Yamaha EF2200iS Review — How does it compare to the Honda EU2200i, which has recently been recalled due to a manufacturing defect. Buy the Yamaha and stay away from the EU2200i (for now). 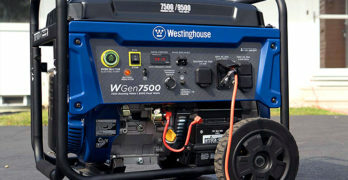 The Westinghouse iGen4200 & iPro4200 are both excellent portable Inverter Generators. The question is which model is right for you? We review both generators and point out the differences between them, helping you decide which one is best suited for you. Westinghouse seems to be really committed to creating a full line of portable generators for homeowners and professionals. We’ve reviewed many of their generators as of late, such as the Westinghouse WPro12000. Either way, the new Westinghouse generator models seem to never disappoint and they’re always a great value for consumers. 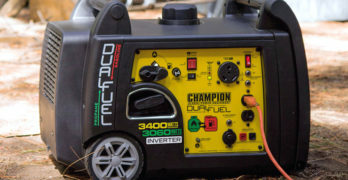 It’s fairly easy to choose the best dual-fuel inverter generator, because in all honesty, there aren’t many options to choose from. We take an indepth look at two excellent generators with the clear-cut winner being the Westinghouse iGen4500DF. If you want to know how they compare then keep reading. It will become crystal by the time you reach the end of this article. How much does a generator cost? In this article we look at generators in every category and size to help you understand the cost of purchasing a new generator — portable and whole-house stand-by generators. The prices obviously range based on the size you need, the features, brand and overall quality. To make it easy for you, we’ve organized the cost by the various types of generators available. How does a generator work? We all know that generators produce electricity for us to use but most people don’t really understand how generators actually work. To be honest, a lot of people don’t care but some of us do, including you, so welcome to this informative article written to answer your questions. Honda EU7000iS Price Increase | Are Generator Prices Going Up? Are generator prices going up? Recently, the Honda EU7000is price went up by almost $500. Why? Is this a sign of things to come? We try to get to the bottom of this take a closer look at the portable generator market. Propane vs Gas Generator | Which One is Right for You? You have portable generator questions & we have the answers. No question is too small or too big. We’ve done our research to uncover many of the top questions that people have about portable generators. If you want the facts then you’ve come to the right place. Welcome to our Generac IQ2000 Review. We’ve written this guide to help you determine if this is the best inverter generator for you. There are many factors that you need to consider when deciding on which generator to buy, which is why we give you the facts, allowing you to make an informed decision. If you’re looking for an indepth Yamaha EF2000isv2 Review, well, you’ve come to the right place. We discuss a wide range of topics to help you decide if this is the right inverter generator for you. 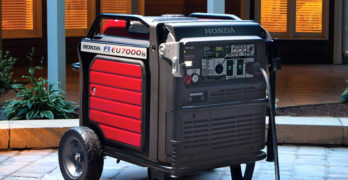 And, beyond that we also review two highly-regarded Honda generators — Honda EU2200i and the Honda EB2000IT1A. And finally, we answer the highly debated question of : Yamaha vs Honda portable generators, which brand is better? — which we’ve discussed in detail in a recent article. It’s a polarizing question that seems to get people excitable and vocal. It’s similar to another timeless question : Ford vs Chevy, which brand is better? or Apple vs Samsung?